Here is a yummy fall cookie recipe. 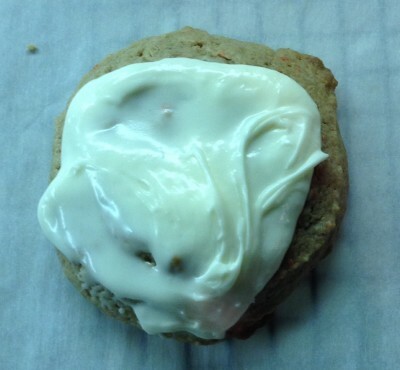 Carrot Cake Cookies. I love, love, love carrot cake! 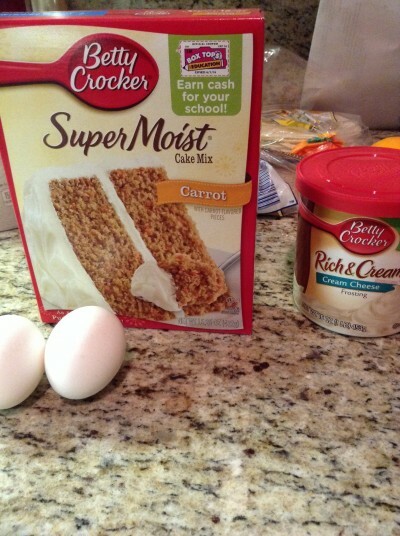 The sweet cream cheese frosting, spice cake, carrots, nuff said. Oh, and I especially love the wonderful aroma that fills the kitchen when baking it. What a perfect way to kickstart the fall season. Bake the cookies for ten minutes. 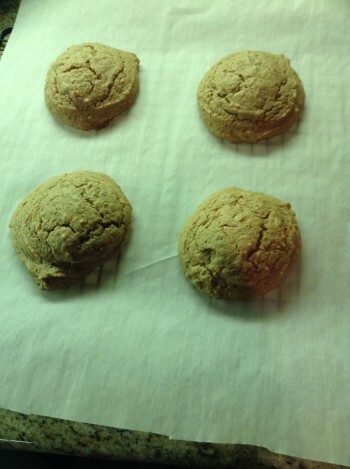 After the cookies are done baking, place the cookies onto a cooling rack. 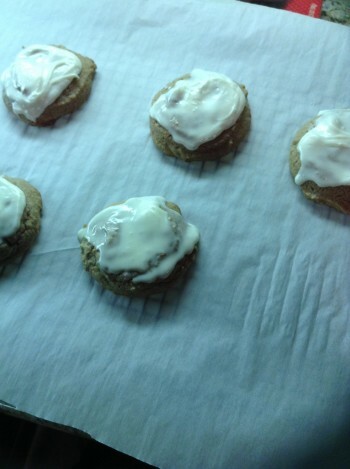 These cookies turned out so moist and delicious and were quick and easy to make. A nice shortcut for that carrot cake craving. I hope you’ve enjoyed my post! Happy Fall from PeopleTreats! 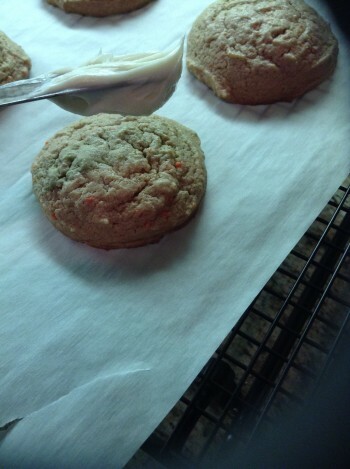 This entry was posted in Carrot Cake Cookies, Home, Recipes II and tagged cake cookies, carrot cake, Cookies, Food, Recipe by mrewilson. Bookmark the permalink. 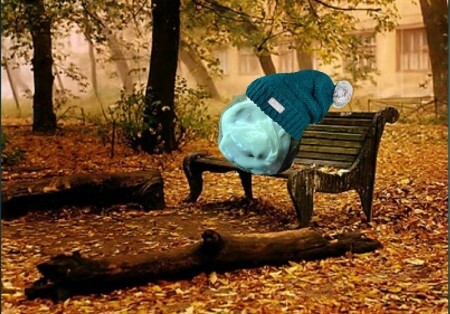 Those look really good and I love Mr. Cookie on the park bench! You are making it impossible for me to keep on my diet!!! Isn’t the Mr. Cookie so cute 🙂 Should have taken a bite first, lol, give him a little character. I’ve been baking way too many sweets, need to do more savory dishes. Sweets just tend to be easier to come up with, I guess. Oh, they really are yummy!! :)! Perfect treat for the fall season! Instead of carrot do you think pumpkin or squash could be used? I have quite a few of those. Oh, I’m sure pumpkin or squash can be used. 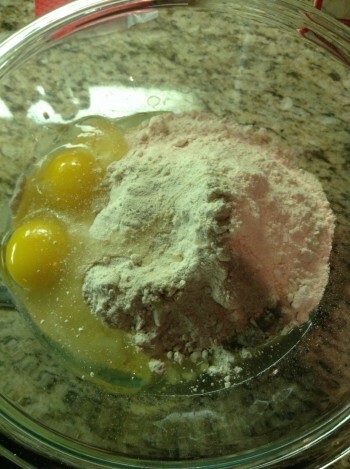 Just make the cookies from scratch, though, as opposed to a box cake mix. 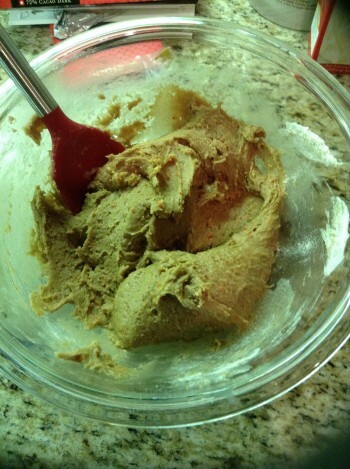 Bake the pumpkin or squash in the oven to make the purée, then use the purée for the cookie mix. 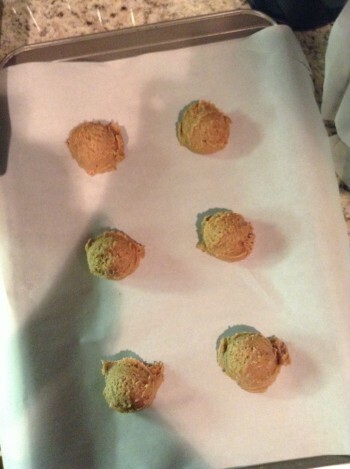 Here is a link for a pumpkin cookie recipe…http://www.foodnetwork.com/recipes/iced-pumpkin-cookies-recipe/index.html. I may have to give this recipe a try. Also, I made a pumpkin roll last year for Thanksgiving, hmmm, mm, so good! A really great dessert. I highly recommend.